It would be fair to say that Australia is in a hyper-nationalist phase. Pauline Hanson’s One Nation party is back in the Federal Parliament, extremist anti-migration micro-parties have gained a foothold, and recent proposals for migrant entry echo the days of the White Australia dictation tests, which was once used to exclude those who were considered ‘undesirable’. Yet, our national population is more diverse than ever, particularly when it comes to those of Asian Australian heritage. Just how diverse is something we need to examine more closely if we are to develop a more inclusive, welcoming society. It is commonly understood that more than half of Australians were born overseas or have a parent who was born overseas. It is also commonly understood that Australia has one of the largest overseas born populations of any nation — 28 per cent according to the Australian Bureau of Statistics in March. These statements are easily translated into the slogan that Australia is one of the world’s most successful multicultural nations. When we take a closer look at the 2016 Census, tracking key characteristics and change across Australia’s Asian populations, we find the extent to which cultural and ethnic diversity is a far more common characteristic among younger generations of Australians. Taken from a total of 3.5 million people representing 15.1 per cent of the total Australian population, the median age for those of Asian ancestry was 30 years, compared to 38 years for Australians across the board. When we drill down into an analysis of Australians by age group, we find that close to 1 in 4 people living in Australia between the ages of 20 and 34 years were from an Asian ancestry (see Figure 1). Even when we remove non-permanent migrants (such as international students), the last ten years tells a story about transformative change in relation to racial and cultural origin (see Figure 2). These shifts are not only changing the way the next generation of Australians looks. It is changing the way these Australians relate to the institutions that represent them, attitudes and perceptions that are largely out of step with what is presented in conventional media and popular culture. When we add back the tremendous temporary migration flows occurring in Australia’s urban centres, we could ask whether our current cultural and civic institutions are sophisticated enough to depict this diversity, let alone explore it in any meaningful sense. The answer may well be no, given the findings in the publication Leading for Change(Australian Human Rights Commission), the necessity of founding an organisation like Diversity Arts Australia, and numerous other initiatives that aim to counteract representations of Australia as only a white nation. Asian Australian activism has grown over the last couple of decades, and Asian Australian scholarly activism is a small but important part of this broader momentum. For example, the Asian Australian Studies Research Network (AASRN) supports researchers networking in these areas, and is a mobilising platform for intellectual and cultural activist projects relevant to Asian Australians. Its publications, such as this recent special issue of the Journal of Australian Studies, includes papers that demonstrate the important cultural work being done by community and scholarly researchers. They provide answers that many assume aren’t out there: What does Japanese Australian history look like? What is going on in Sydney’s Chinatown and what does it mean? Is there such a thing as queer Asian Australian identity? Over ten years and longer, the network’s presence has generated a range of outcomes in academia, the creative arts, and for cultural activist communities. The AASRN emerged from a broader desire held by scholars and cultural producers across migrant communities to understand ourselves better and to tell different stories, stories that are sensitive to the power dynamics of not only who tells them but also how they are told. 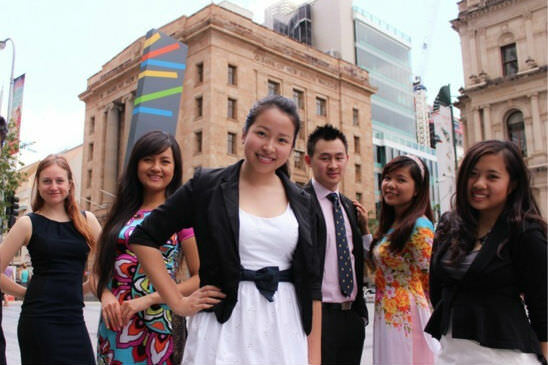 Our Asian Australian demographic is growing, particularly across the younger age brackets, and Australia’s civic, educational and cultural organisations must do more than pay lip service to supporting a diverse population. Jen Tsen Kwok is an honorary research fellow at the University of Queensland, an associate at the Asia Institute, University of Melbourne, and a founding member of the Asian Australian Democracy Caucus (AADC). Previous 2017 – just one conference, right?